This entry was posted in Infants on January 29, 2016 by Signhills Blog. 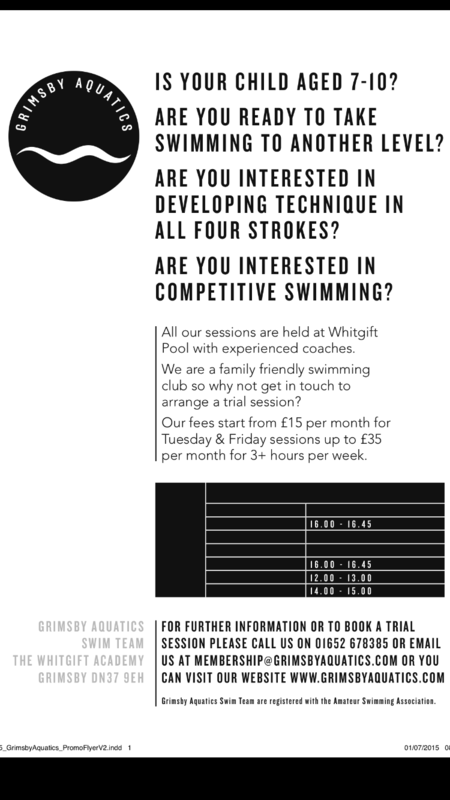 We have been asked to share this information by Grimsby Aquatics. This entry was posted in Juniors, Uncategorized on January 26, 2016 by Signhills Blog. This entry was posted in Infants, Juniors on January 21, 2016 by Signhills Blog. 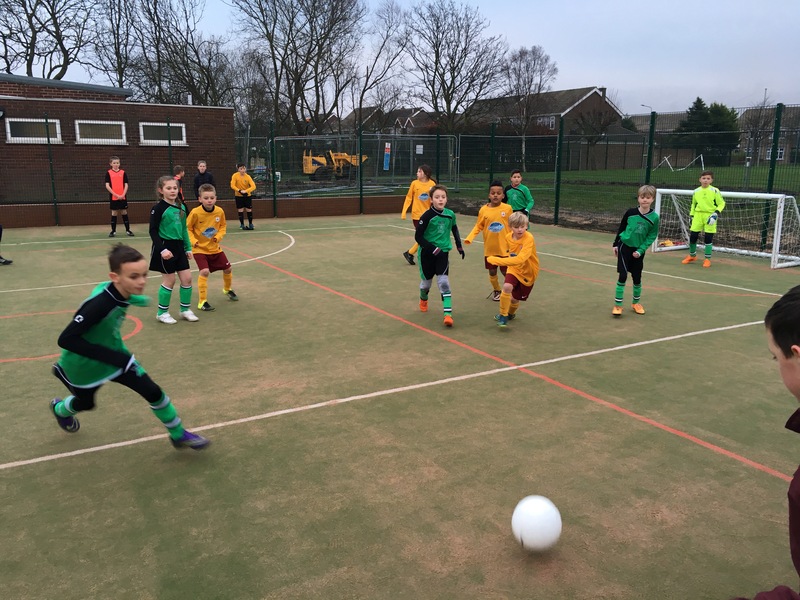 The first of many events on our new AstroTurf. This entry was posted in Juniors, Uncategorized on January 19, 2016 by Signhills Blog. Due to illness there will be no school road crossing patrol on Hardy’s Road on Tuesday 19th and Wednesday 20th January. This entry was posted in Infants, Juniors on January 19, 2016 by Signhills Blog. This entry was posted in Infants on January 15, 2016 by Signhills Blog. I hope you have all had a great Christmas and New Year. Below are some dates for the spring and the summer terms. Where information is still vague, more details will be sent out nearer the time. The book fair is visiting school again on Friday 22 January – Wednesday 27 January. It will be open, in the Ocean Room, after school until 4pm each day. This year’s Multi-Cultural Week will begin on Monday 1 February. During the week each year group will be studying a different faith / culture. On Tuesday 9 February we will be marking Safer Internet Day through a series of workshops for the children based on the Takeaway Theatre Company’s production of ‘Hope’. This term’s parents’ evenings will take place on Tuesday 1 March and Wednesday 2 March. Your child will bring a letter home to arrange the appointment. During the week of Monday 7 March, you, or other family members, are invited to work alongside your child in a ‘normal’ literacy lesson. Details to follow. To celebrate World Book Day on Thursday 3 March, the children are invited to come to school dressed as a character from one of their favourite books. The Happy Puzzle Company will be joining us as part of a focussed maths week. There will be opportunities to work with your child on some of the problems and we will also be holding a ‘Maths Bingo’ evening on Thursday 26 May. Following a very successful day with Ian Bland, a professional children’s poet and performer, last year, we have invited him back into school to lead a Poetry Week. During the week he will work with parents, teachers and the children. Details to follow. As more dates and details are confirmed, for example Sports Day, Summer Fair etc. we will update you. This entry was posted in Juniors, Uncategorized on January 13, 2016 by Signhills Blog.